← What is Differentiated Instruction? The International Baccalaureate Primary Years Programme – Unpacking attitudes with Australian 5 & 6 Year Olds. Unpacking the International Baccalaureate Learner Profile and attitudes with Prep children (5 and some 6 Year Olds) is ongoing. I’ve been using all opportunities within and outside the Programme of Inquiry to unpack the Learner Profile and attitudes in context. 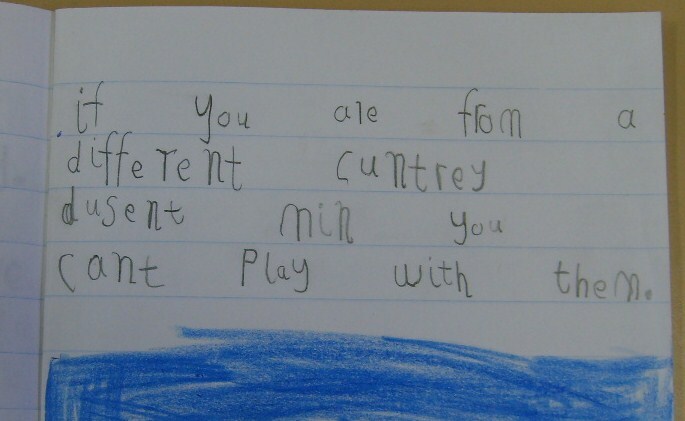 Young children need context to ensure meaning. This week we have had Kym Lardner, an Australian author visit our students. 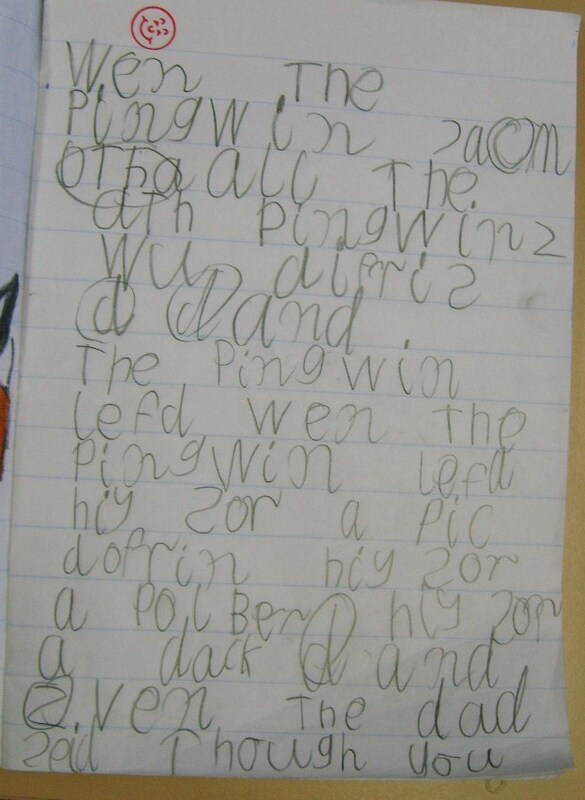 I have been introducing Kym’s stories to the children. 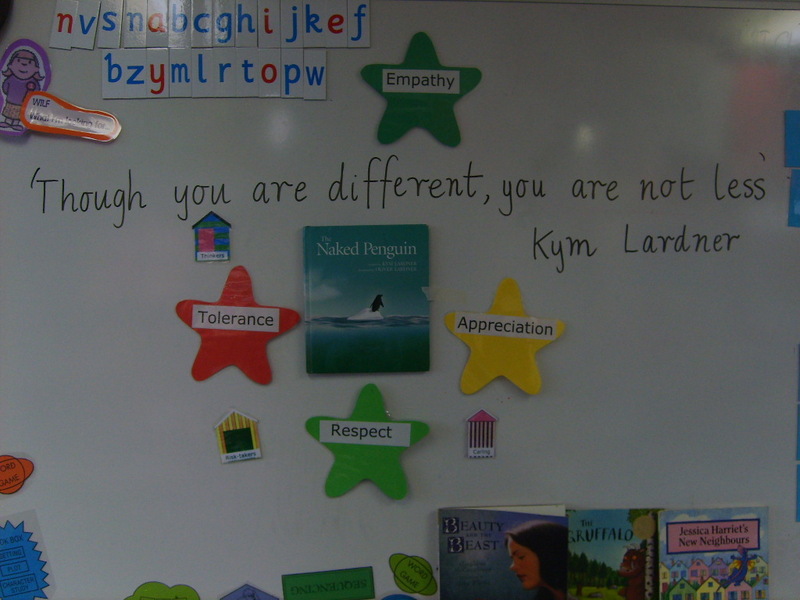 Kym’s books relate well to the Learner profile and attitudes. 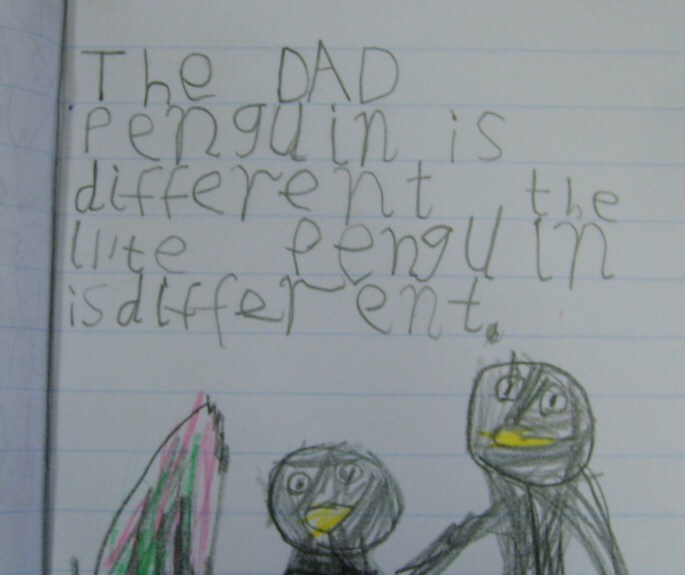 Our favourite book is The Naked Penguin. This story is about accepting difference. 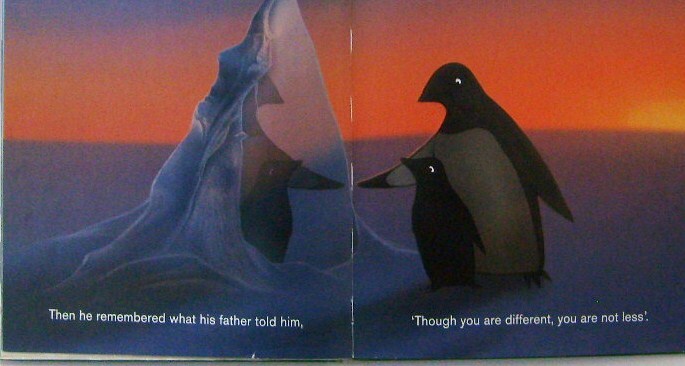 After reading this story many times, the children and I selected the attitudes related to this story. They could relate these attitudes to the text. I’m impressed! We’ve been talking and living these attitudes for a while. It takes time to unpack these. My Preps are starting the second semester of their first year of formal education. They are young learners, but very capable. 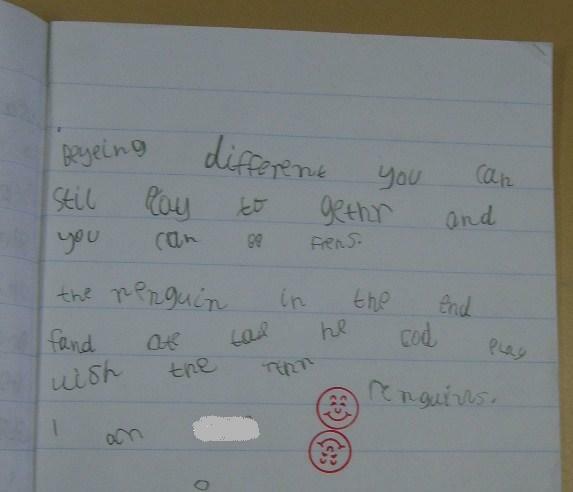 I’ve selected a range of student’s writing in response to a quote from the story. The IB PYP extends children’s thinking, encourages children to ‘go deep’ and I believe leads to improved student learning. Please read the selected responses. I would like to get learning materials for year 4 and beginning year 5. It was great to find your blog. I have shared it with some of our staff. We have completed our year of “shall we do it” and hope to apply in the autumn to IB. It is a great learning adventure to all of us and I thank you for your blog. My fiend Jessica recommended this blog as you ‘unpack’ the learner profile… Excellent! Thanks for the comment. 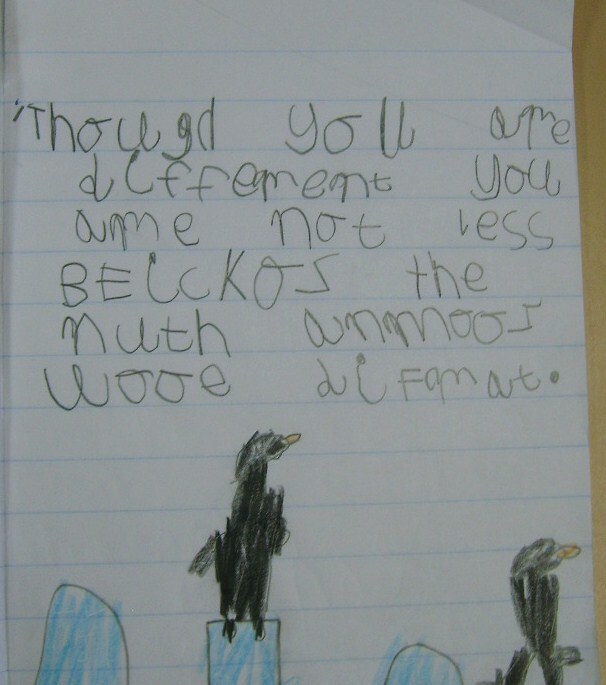 I’m slowly unpacking the Learner Profle and attitudes with my Preps. I decided, it’s the children’s actions that display their understanding not the word. It will be interesting to watch these children develop over the years. We have just been through Pre – Authorisation. Lots to do during the next year. Once again thanks for commenting.